It’s an exciting day in the Dallas area, as people from around the community take part in North Texas Giving Day. 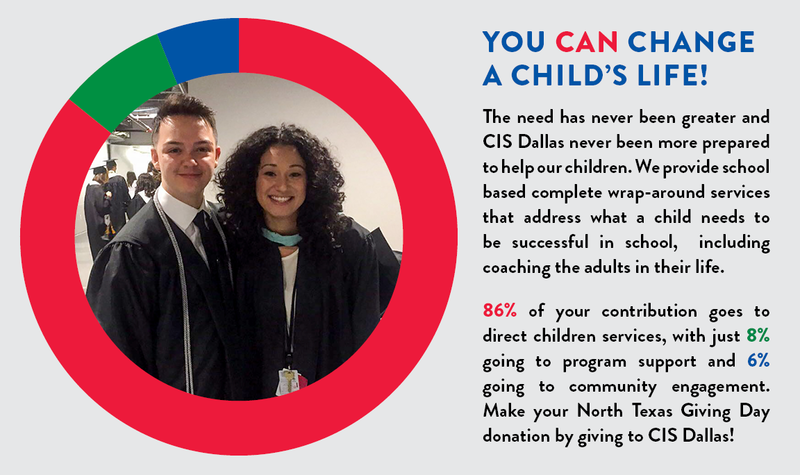 While we are just one of many worthy causes, here’s how CIS Dallas is different. As a certified Mental Health First Aid (MHFA) trainer, we are on the front line of preventing violence in schools. Following the tragic school shooting in Santa Fe, Texas this spring, the Texas State Senate recommended an increase in school-based support and an expansion of MHFA training. This evidence-based mental/behavioral health intervention model provides education, coaching and strategies to identify signs of mental illness and develop a timely approach to triage and treatment. With over 33 years of on-campus experience, CIS Dallas is uniquely poised to continue and expand MHFA training throughout the community. Later this year, we will augment our Mental Health First Aid training with American Red Cross certification in First Aid, CPR and AED. 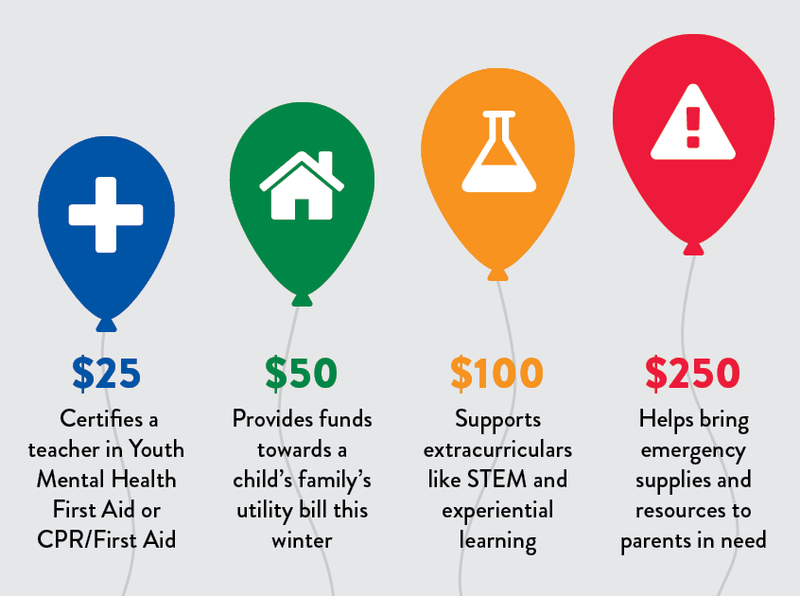 These initiatives would not be possible without partners like you. 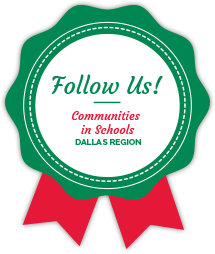 Thanks in part to our North Texas Giving Day donors, CIS Dallas’ field-based staff will be better able to bring the community together to help make the future better for the children of the Dallas region. Every gift, no matter the size, truly makes a difference in the life of a child, so please donate today!